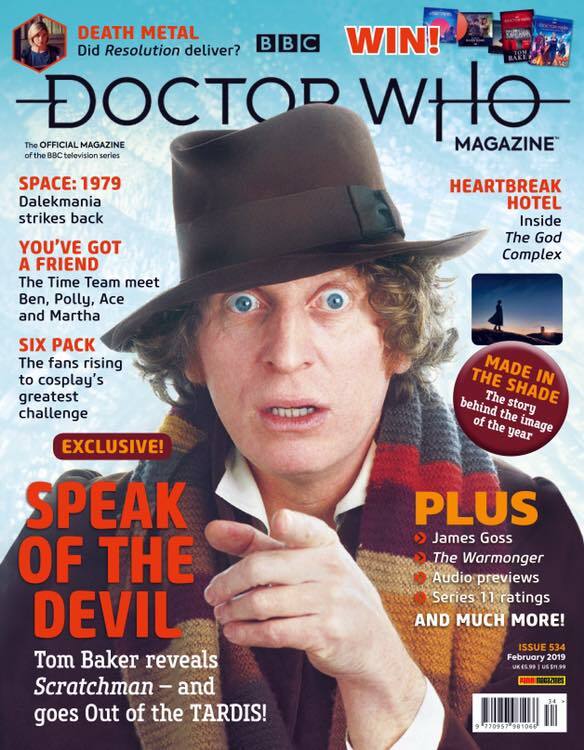 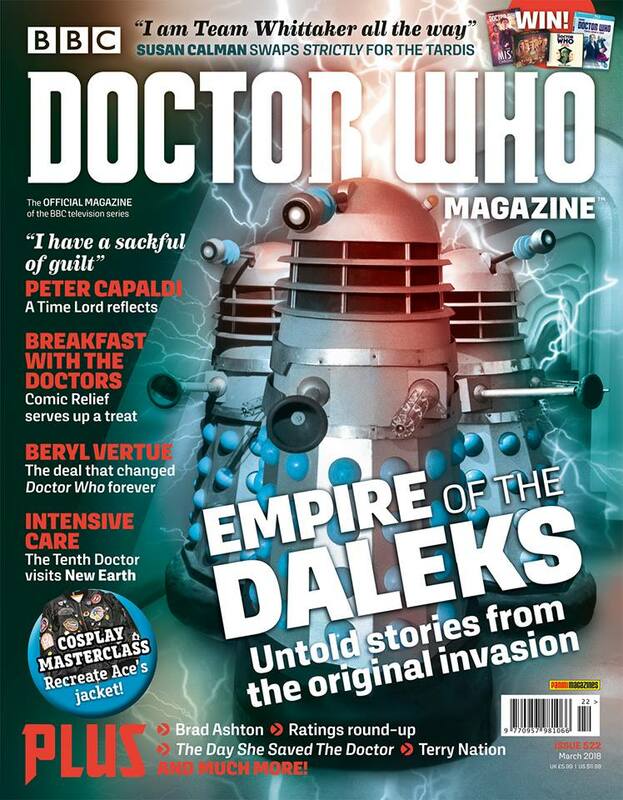 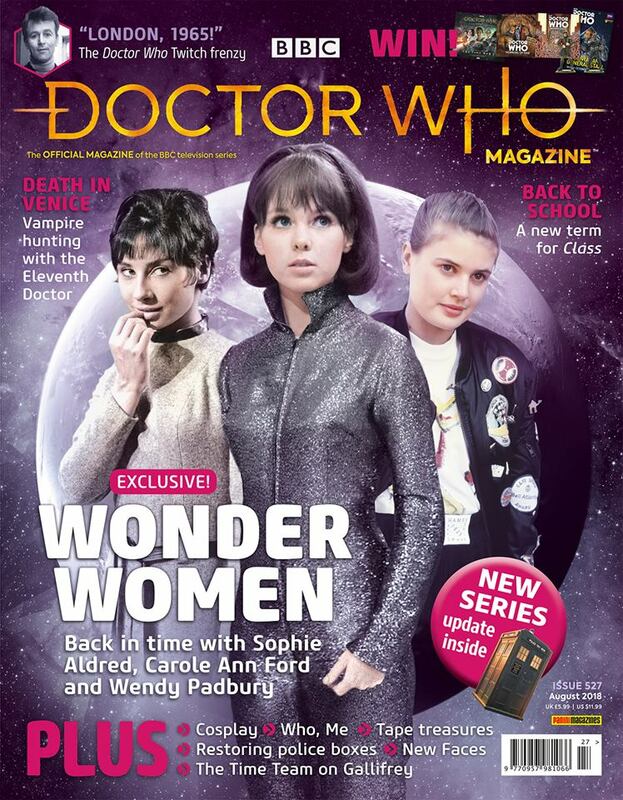 DWM issue 522 is out tomorrow, Thursday, February 8th, and has an exclusive interview with Beryl Vertue – Terry Nation’s agent in the 60s & now Steven Moffat’s mother-in-law! 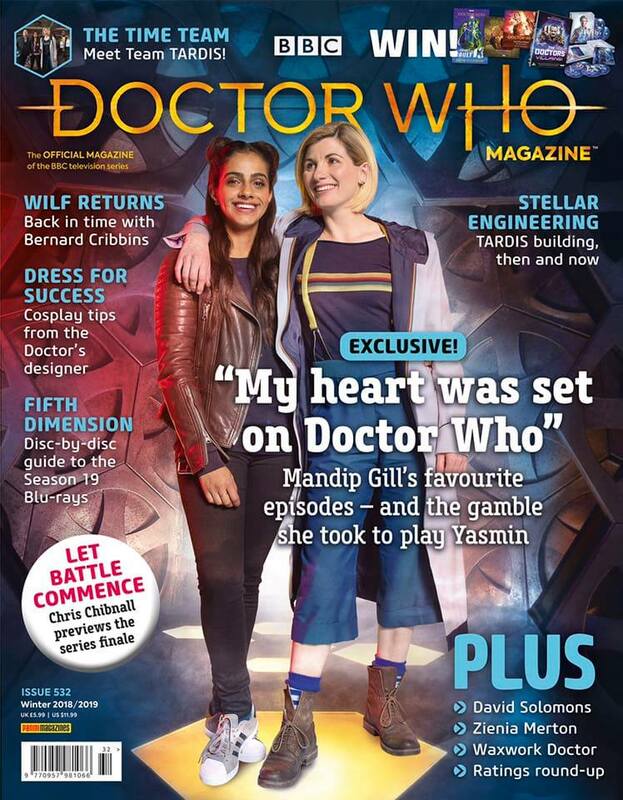 Plus, interviews with Susan Calman and Emma Freud about their Doctor Who projects, and a brand-new cosplay feature with Christel Dee: she leads us through a brand new Cosplay Masterclass. 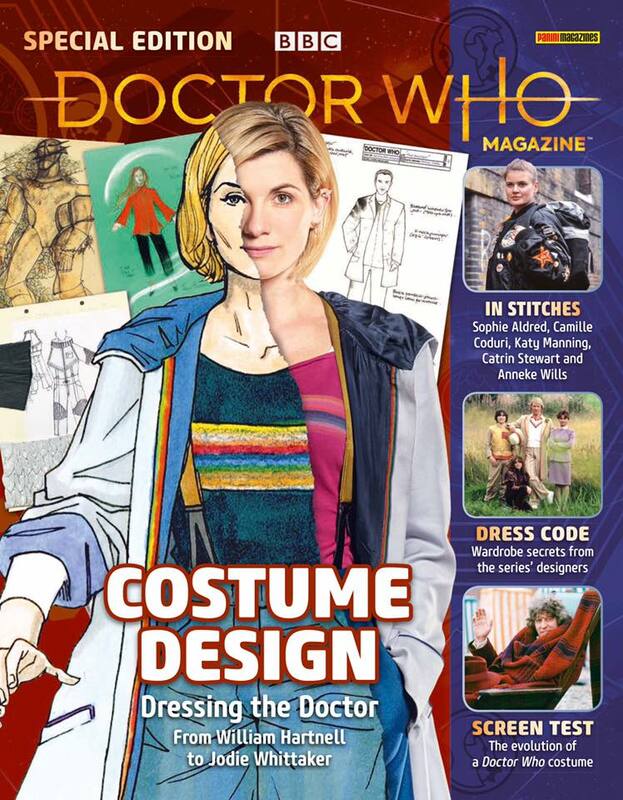 The new feature begins with looking at how to recreate Ace’s jacket. 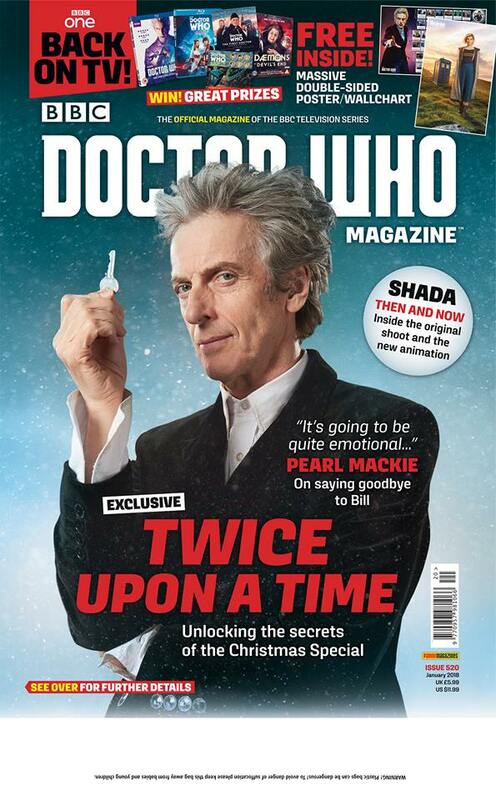 The issue #522 also features Peter Capaldi reflecting on his time as our favourite Time Lord. 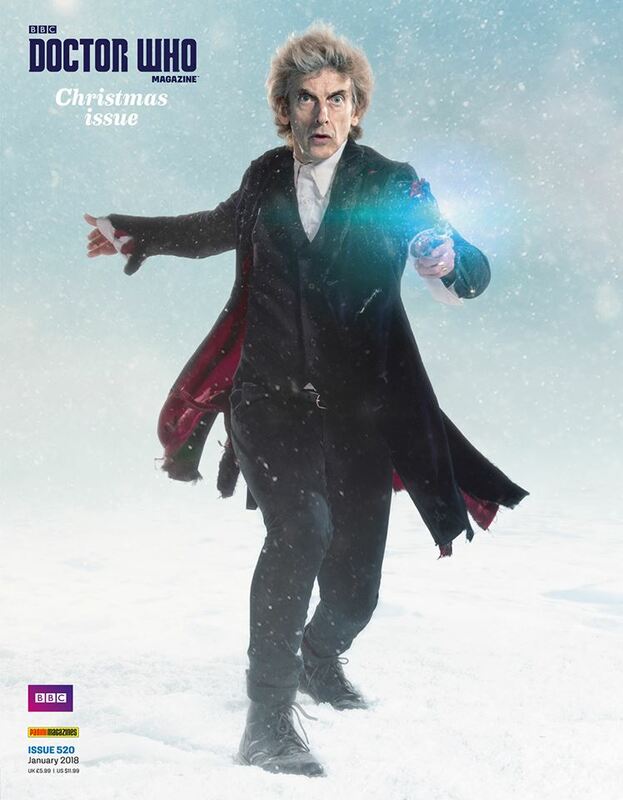 The cover has a quote from the Twelfth Doctor which is intriguing where he reveals that he has “a sackful of guilt”. 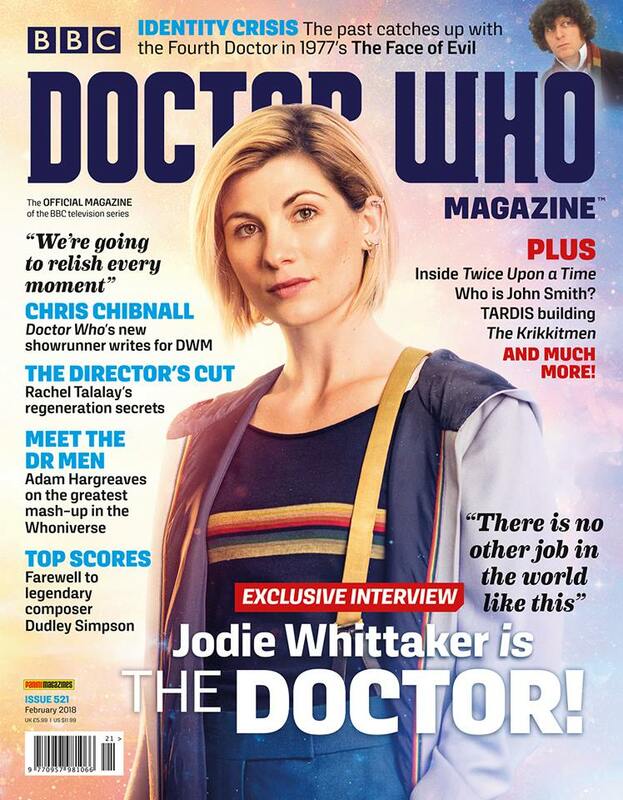 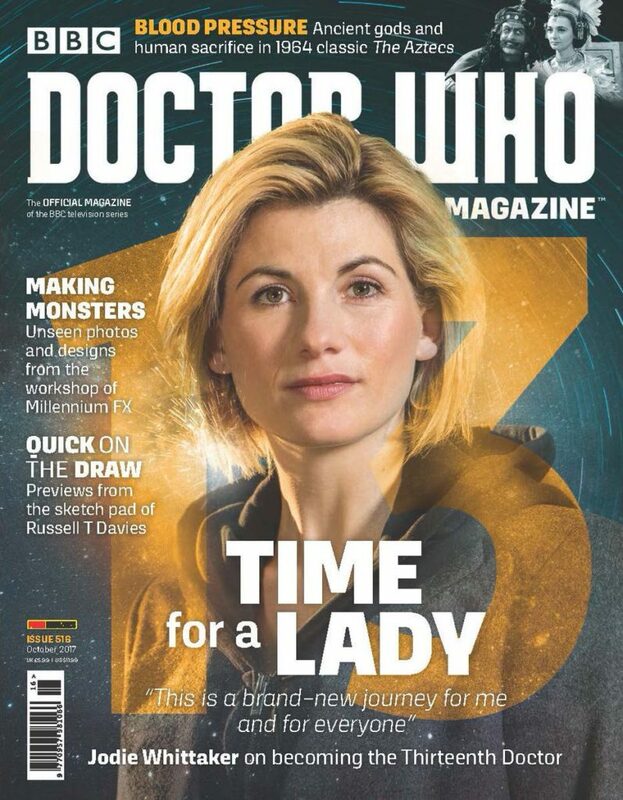 The 13th Doctor, Jodie Wittaker, and the showrunner Chris Chibnall are in this new issue. 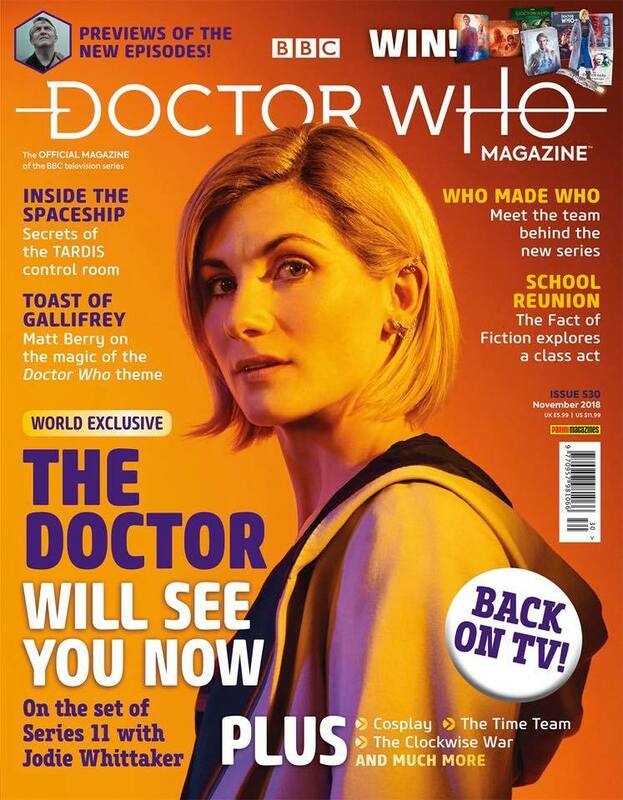 Rachel Talalay, the director of Twice Upon a Time, talks about the filming of Peter Capaldi and Jodie Whittaker’s regeneration scene. 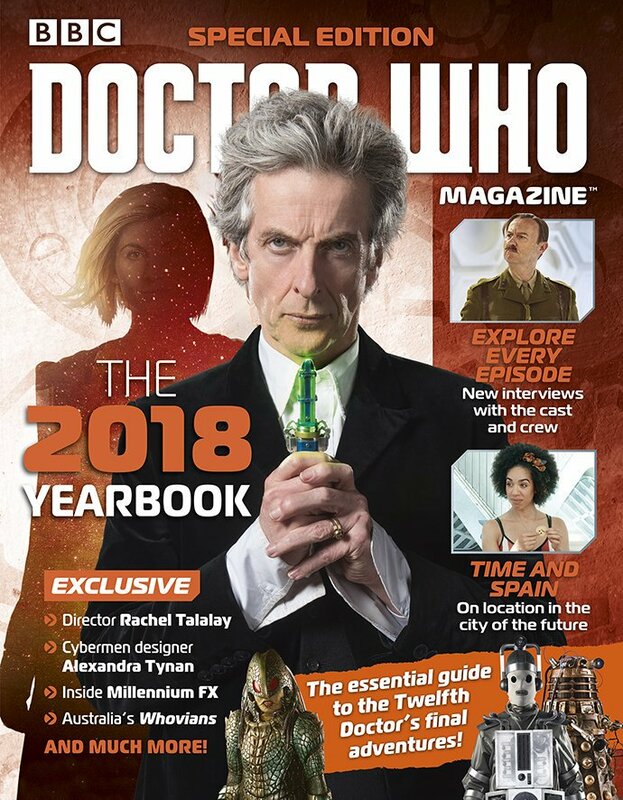 Doctor Who Magazine 521 is on sale from tomorrow, Thursday 11 January 2018, price £5.99. 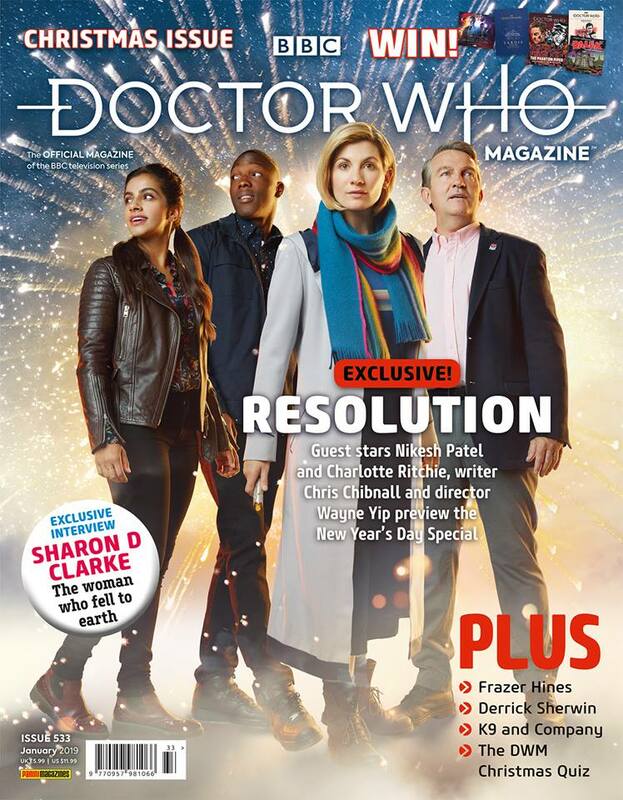 The latest issue is on sale from today, Thursday 14 December, price £5.99, and it includes a free 13th Doctor poster / 12th doctor wallchart and a revealing preview of 2017 Christmas episode. 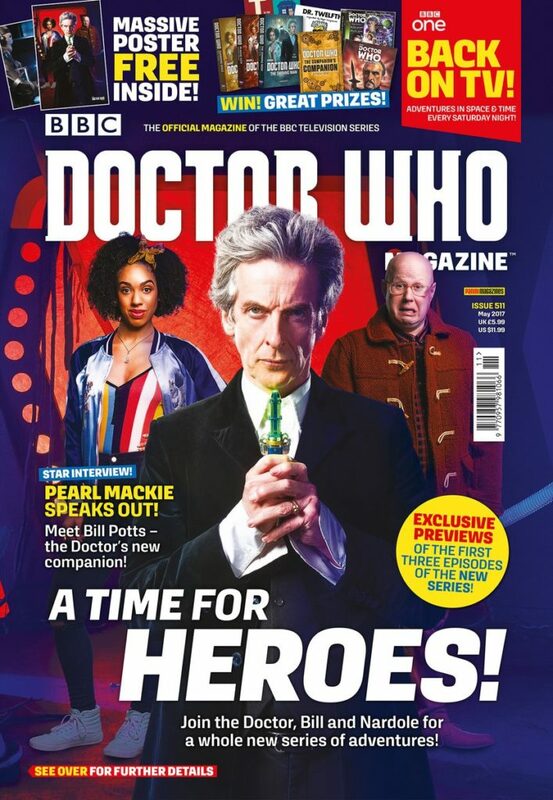 Pearl Mackie is back one more time, for this episode, but she talks to DWM about saying goodbye to companion Bill Potts. 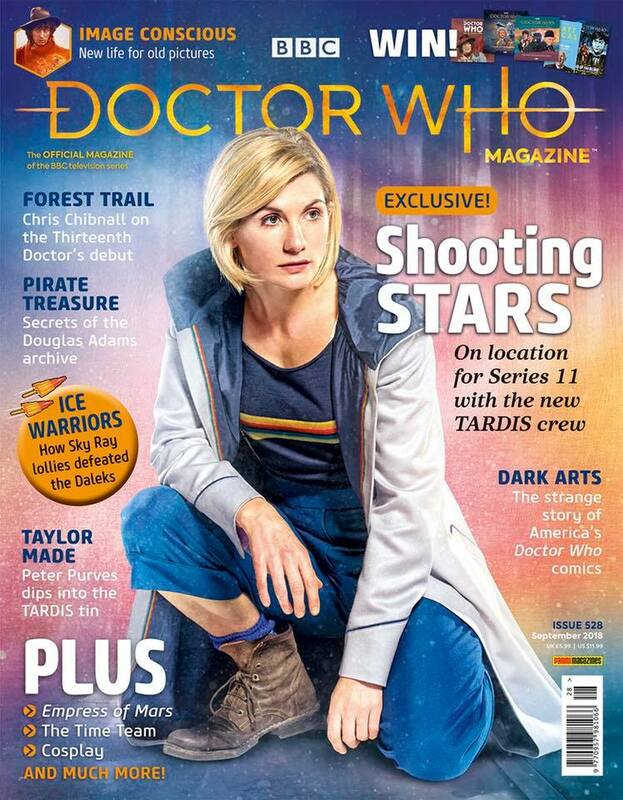 This issue also have an interview with Mark Gatiss, who plays the Captain in the 2017 Christmas Special. 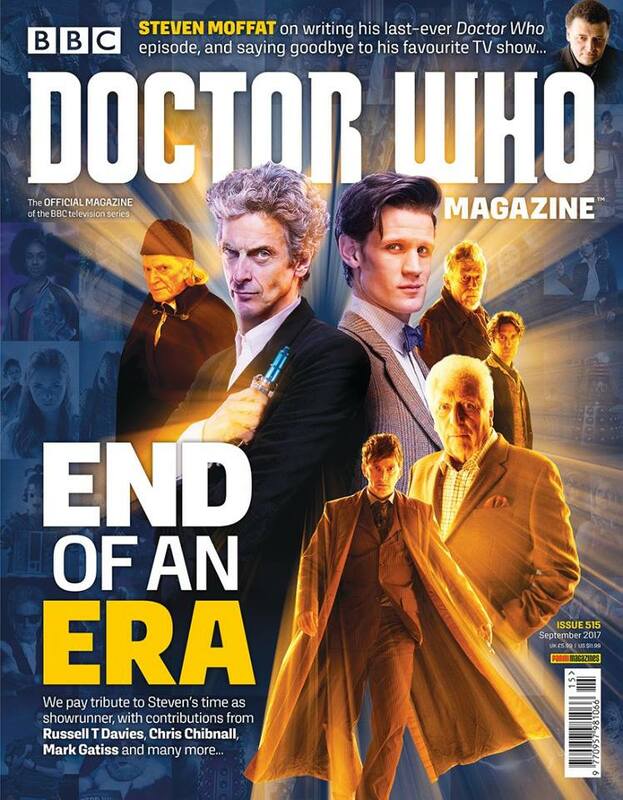 Steven Moffat previews his final story, Twice Upon a Time. 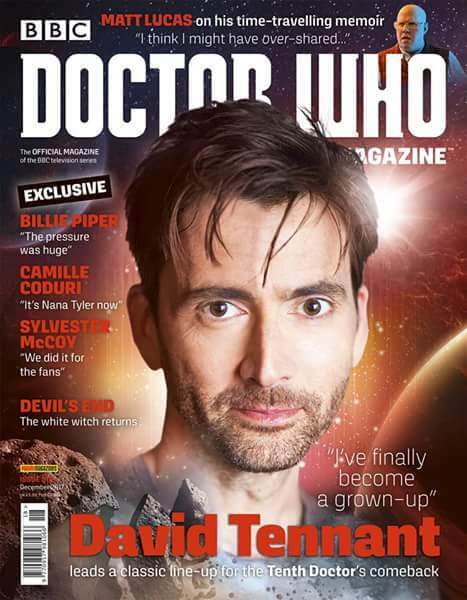 This issue chat with David Tennant and Billie Piper because the theth Doctor and Rose are back: over a decade on from their time together in the TARDIS, they are back for a series of audio adventures. 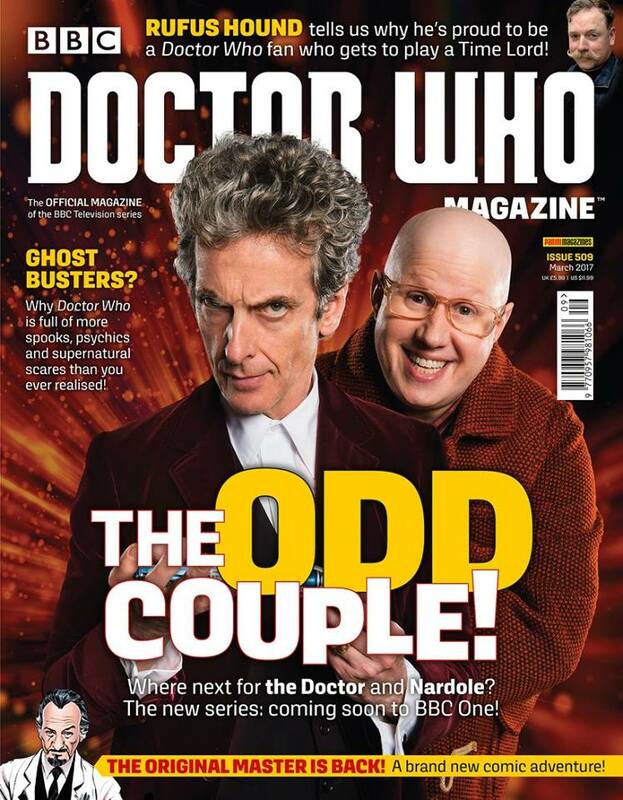 Matt Lucas talked with the DWM team about his new autobiography, which he wrote while playing Nardole in the tenth series of Doctor Who. 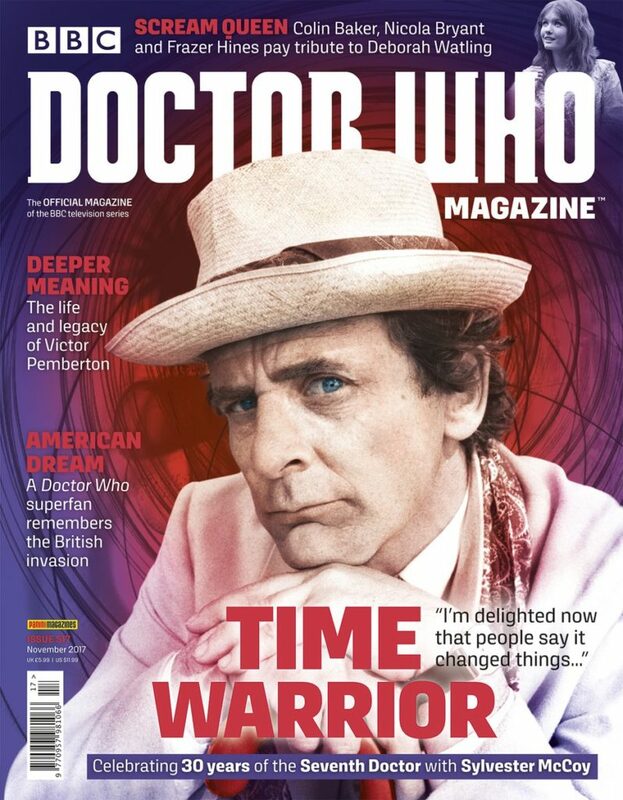 In the second part of DWM interview, the Seventh Doctor Sylvester McCoy reflects on Doctor Who’s 50th anniversary and looks forward to the show’s future. 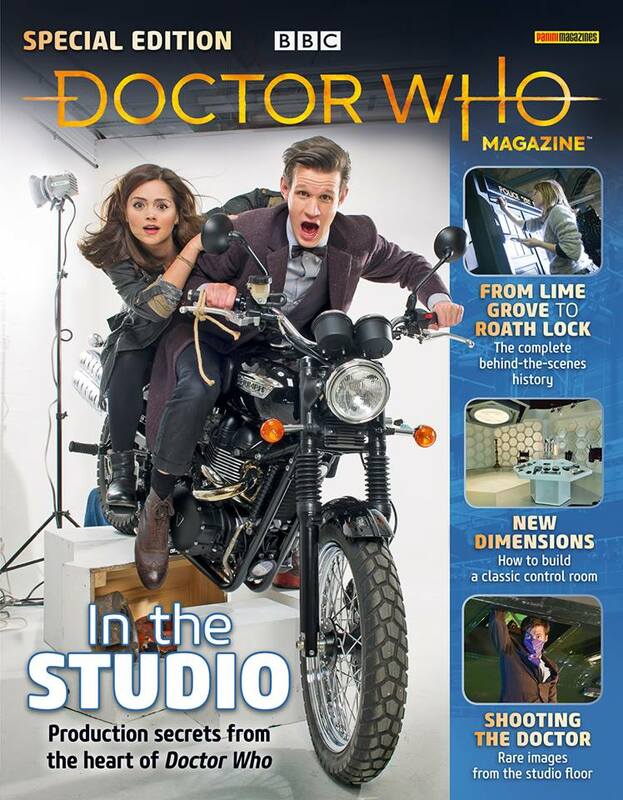 Doctor Who Magazine 518 was on sale from Thursday 19 October, price £5.99. 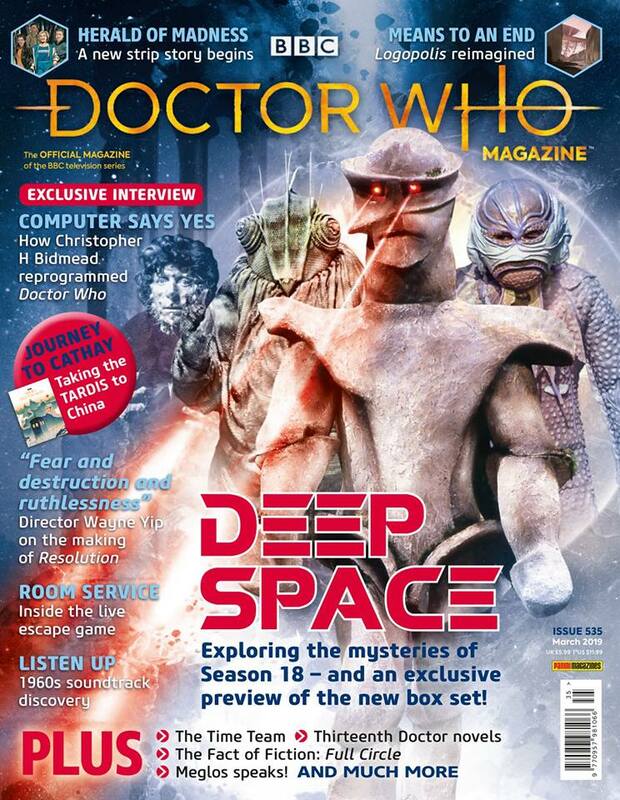 This issue celebrated 30 years of Sylvester McCoy being the seventh Doctor. 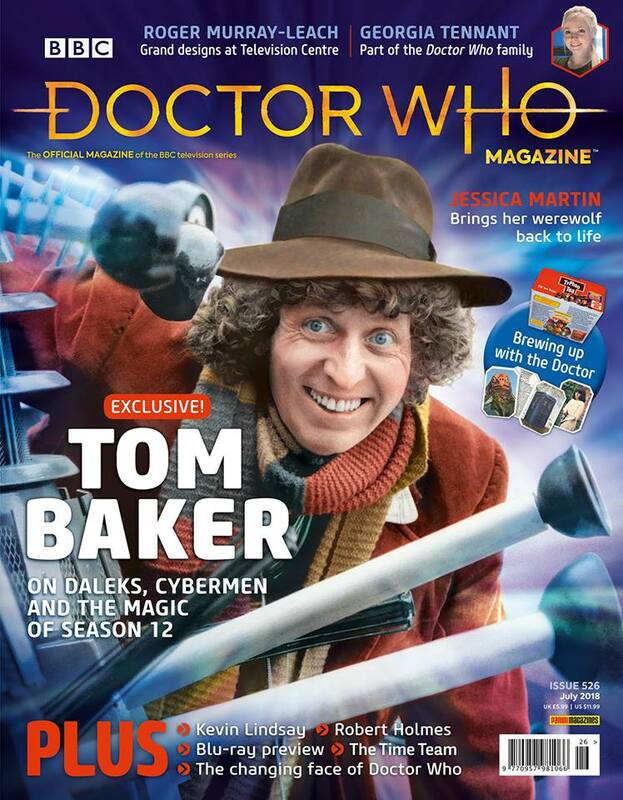 3 decades after he first appeared in Doctor Who the actor recflects about how the role changed his life. 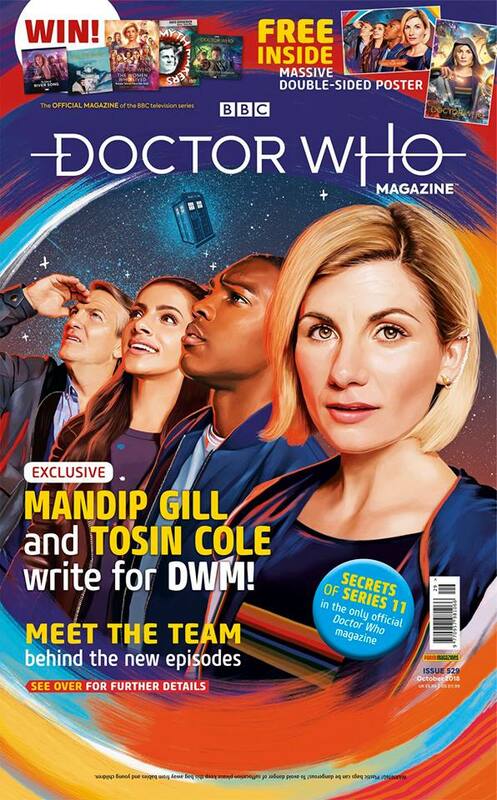 Doctor Who Magazine 517 was on sale from Thursday 21 September 2017, price £5.99. 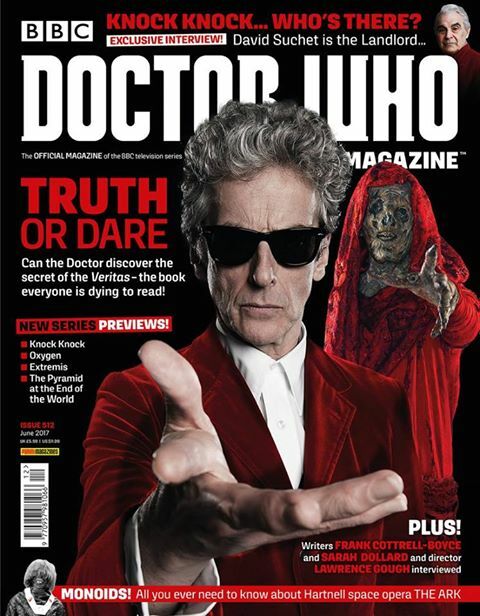 The issue that appeared on August 2017. 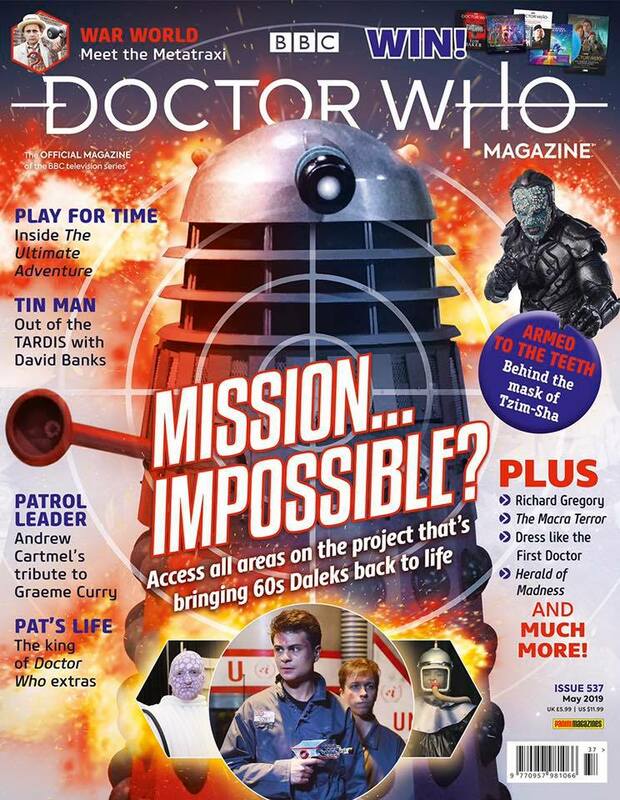 You can find more info about its content here. 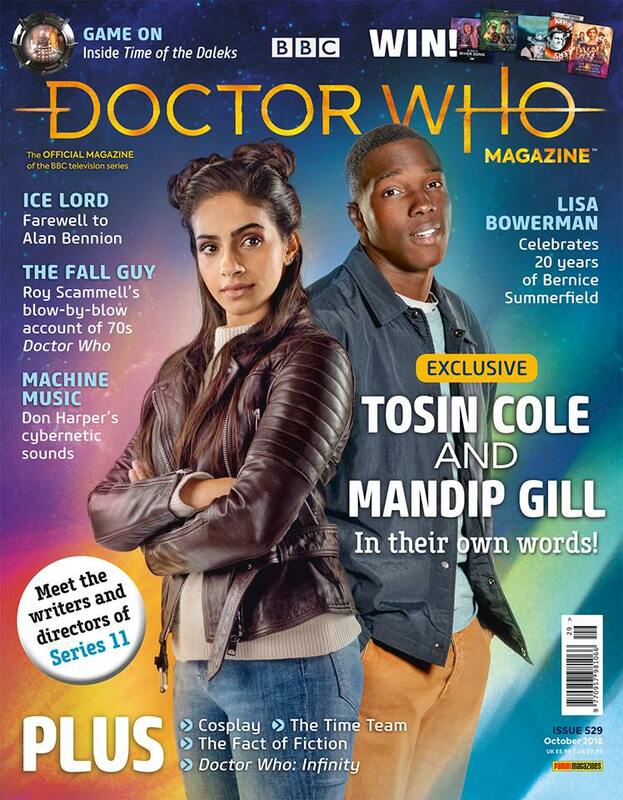 The issue will be available 4th May 2017 for a price of £5.99. 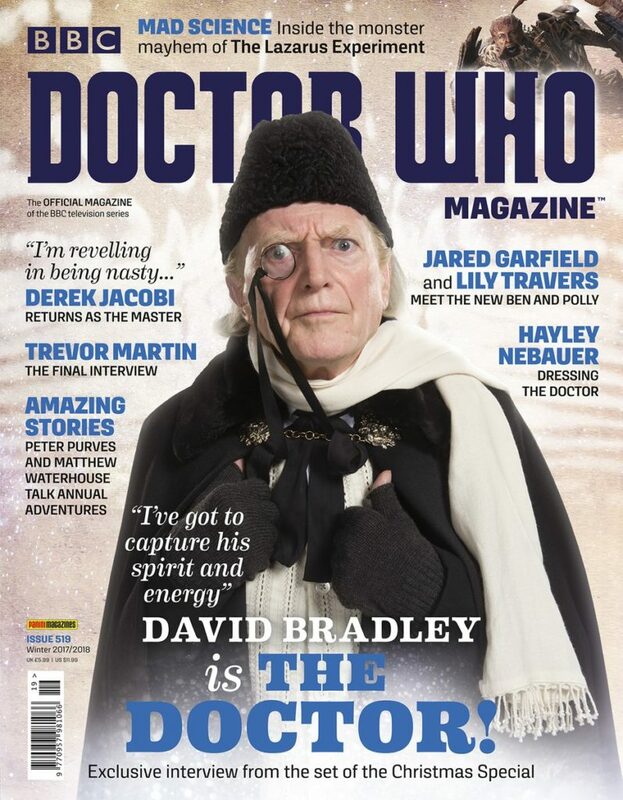 Do you think that the Doctor can discover the secret of the Veritas, the book everyone is dying to read? 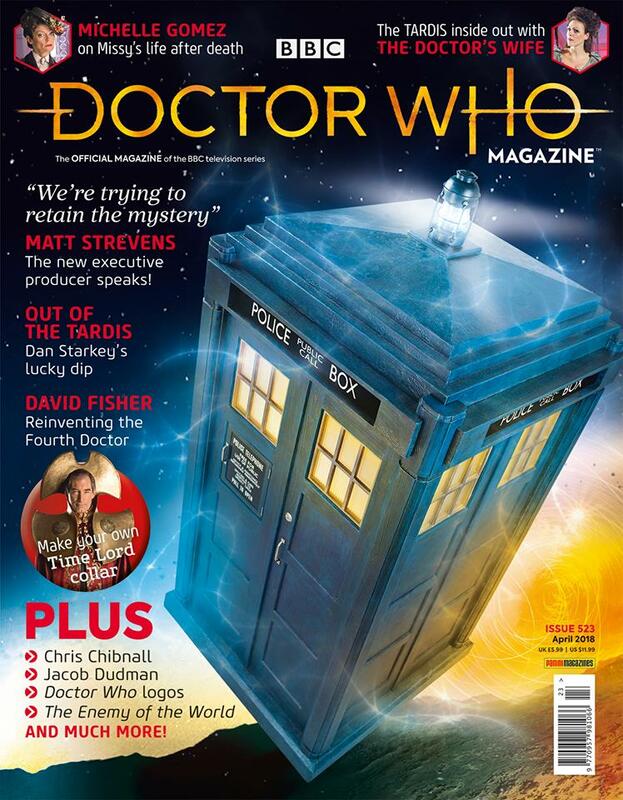 There are new series previews: Knock Knock, Oxygen, Extremis, The pyramid at the end of the world. 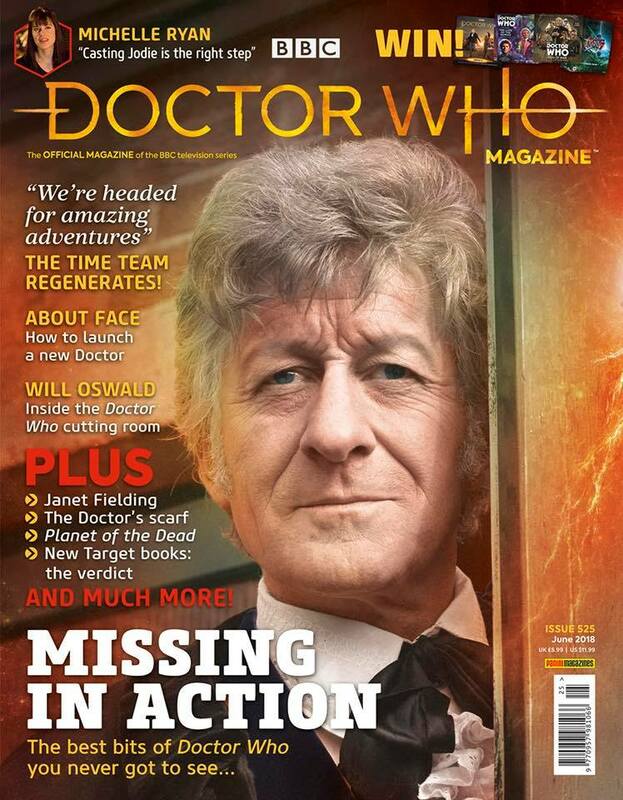 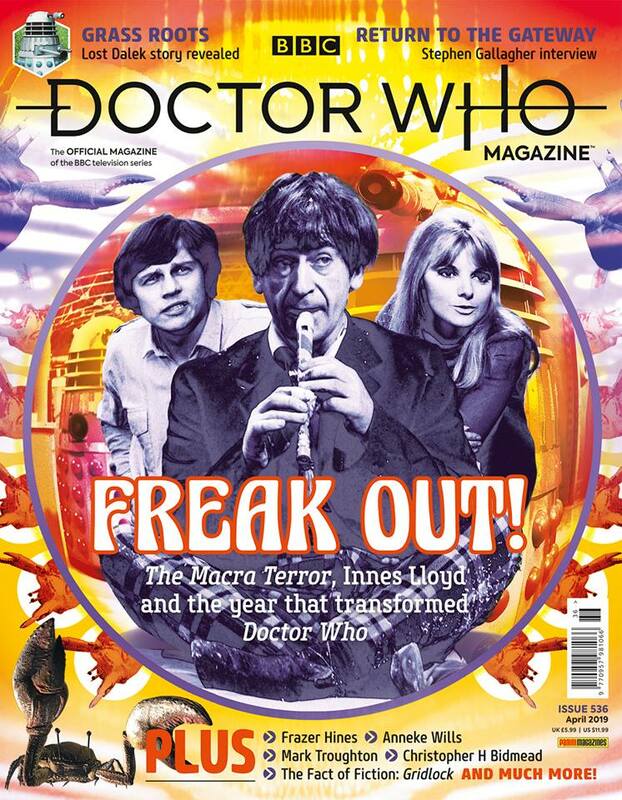 The latest special edition of Doctor Who Magazine will be available June 14, 2014 (USA date) and it is devoted to the many Doctor Who toys, games and other collectables that have been issued since the early 1960s. 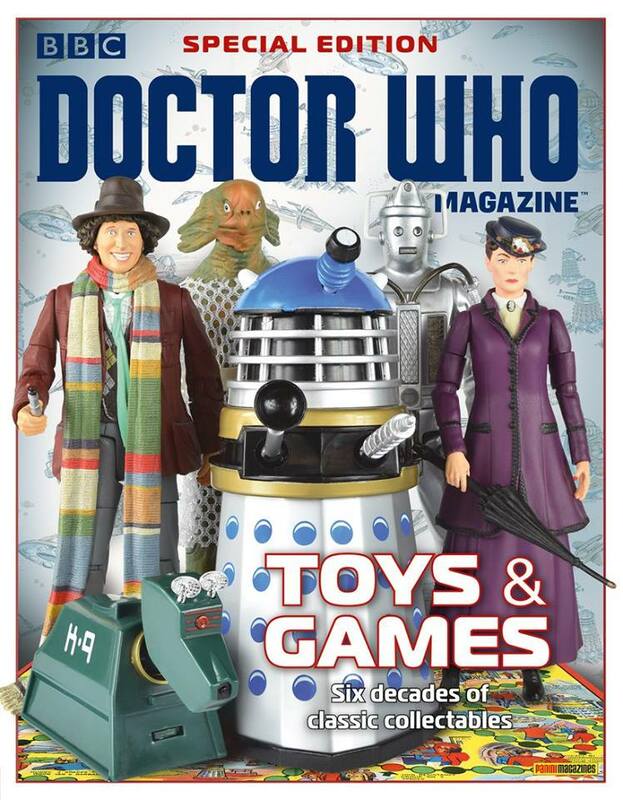 It has 100 pages that includes comprehensive guides to the toys produced in each decade, a look at some prototype designs that never reached the shops, the story of the rarest Doctor Who toy of all and a ringside seat at a Doctor Who board game marathon. 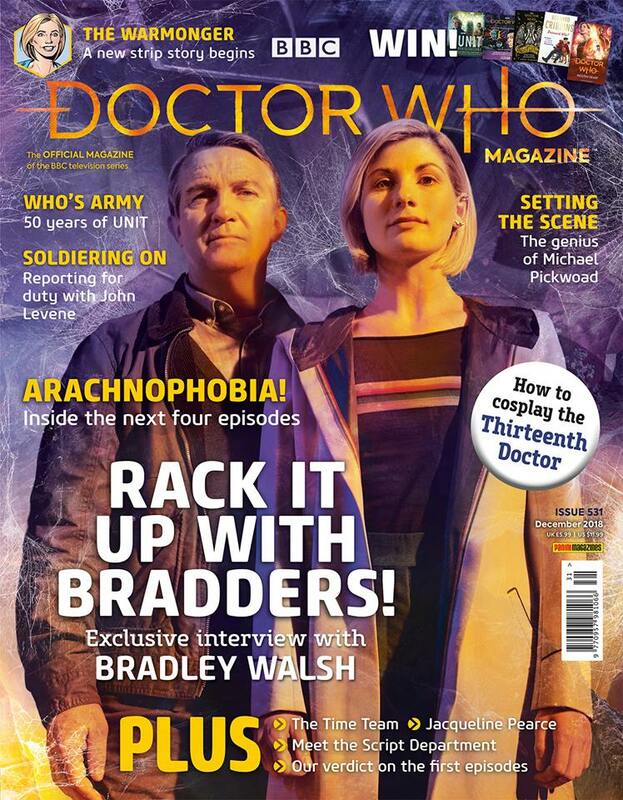 Doctor Who Magazine Issue #511 was for say this Thursday, 6 April 2017, price £5.99, and previews the series 10 starting just a few days from now.